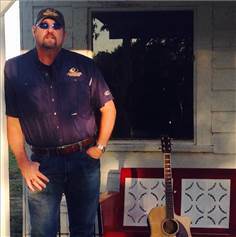 Shawn was born and raised in Woodruff County, Arkansas. His father was a farmer skilled with the ability to develop wooded property into cropland. Shawn spent his early years as a boy picking up chunks of wood to clear areas for row cropping. Little did he know, his father was grooming him for a lifelong career in Land Management and Development. Whether you are looking for a recreational piece of land, or an investment grade farm, I will utilize my lifelong experiences to find the perfect place on earth for you to accomplish your goals.“-Shawn O’Shields Shawn is a licensed as a Broker in Arkansas and currently resides in McCrory. If you are looking for some local knowledge. Shawn is your agent. He is also versed in investment farm land, land improvement, and USDA Conservation Programs. Put Shawn's knowledge and experience to work for you today.